It is the stuff of legends. Back in 1978, two high school buddies leased an old gas station, in downtown Burlington, with a plan to open a home-made ice cream shop in this quiet Vermont college town. Having completed a mail order ice cream making course, their next step was to procure the cooking and display equipment that would help turn their dream into reality. A foreclosure notice for a restaurant in downtown Gorham caught their attention and they headed off to New Hampshire in a borrowed pick-up truck with their slim checkbook. Not finding much competition at the auction, they bought as many stoves, refrigerators and display cases as they could fit into their vehicle. Forty years and millions of ice cream cones later, Ben & Jerry’s Homemade is a household name around the globe. 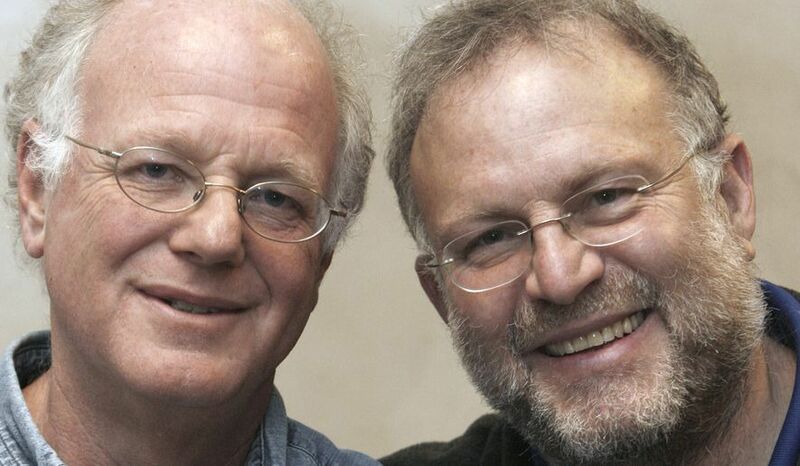 At 7 p.m. on July 14, the company’s founders, Ben Cohen and Jerry Greenfield, will return to Gorham to perform with the North Country Chamber Players at the Medallion Opera House, where they will narrate Prokofiev’s beloved musical tale, Peter and the Wolf. This concert, performed by 23 world-class musicians, will open the 2018 White Mountains Music Festival and will mark the first professional orchestra concert in the beautifully renovated Medallion Opera House. The program will also include Tchaikovsky’s celebrated Serenade for strings and Jean Francaix’s sparkling Dixtour for winds and strings. Admission for this historic event is free, thanks to the generous support of the Neil and Louise Tillotson Fund of the NH Charitable Foundation, and it will be followed by a free Ben & Jerry’s ice cream party to celebrate these two anniversaries. The White Mountains Music Festival will continue in the area on July 22 in the ballroom of Whitefield’s Mountain View Grand Resort for five additional weeks of performances. Always seeking to provide a wide range of programming and ideas to engage, inspire and inform the communities they serve, during the past four decades, the Chamber Players have introduced other internationally renowned figures like jazz great Branford Marsalis, tango master Pablo Ziegler, conductor, author and educator Leon Botstein, and architect and visionary Paolo Soleri, to northern New Hampshire audiences, for the first time, in collaborative performances and special presentations. Tickets for the Gorham concert may be reserved and further information about the Chamber Players’ other activities can be found by visiting www.northcountrychamberplayers.org or by calling (603) 444-0309. The concert and Ben & Jerry’s ice cream social will be repeated at 4 p.m. on Sunday, July 15, at the Maplewood Golf Club and Inn in Bethlehem. Tickets for that concert cost $25; free for those 18 and under.